Lake Gairdner is a National Park, administered by the Department of Environmnent, Heritage and Aboriginal Affairs for the State of South Australia. 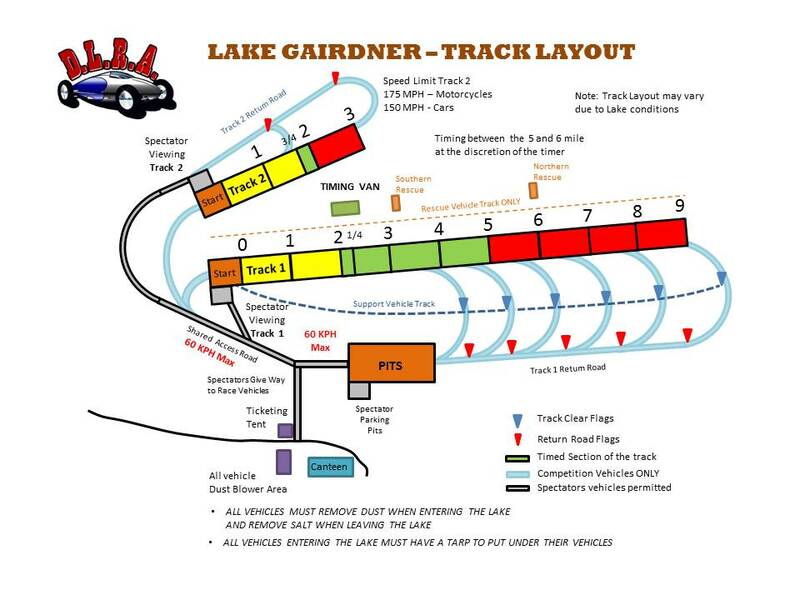 Although the lake is some 80 miles long it is only that area south of the 32nd parallel that they have given permission for Land Speed Racing. Of this area the DLRA uses only a small portion, closest to the Mt. Ive Station, As this is the only "made road" to the lake. The course will be defined as shown in the diagrams below. (This may vary slightly depending on surface conditions). 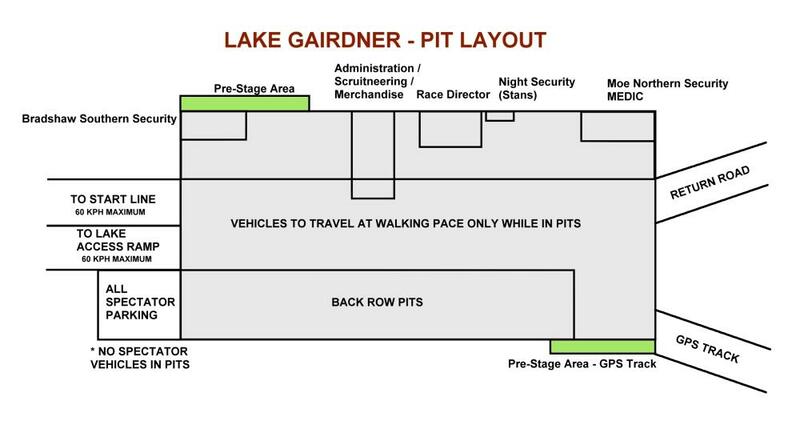 This includes the competition track(s), the pit area, spectator area, and warm up track and access routes from the lake edge to the defined areas. 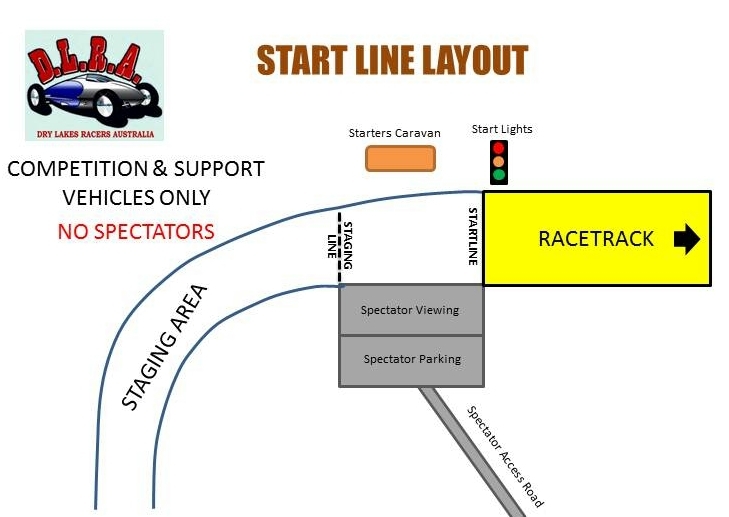 All areas and access routes will be clearly defined by suitable temporary signage, bunting or other approved methods to ensure all participants and spectators are aware of the approved locations for vehicles to be driven, parked and where foot traffic is permitted. Designated non-access areas will be clearly defined and signposted. 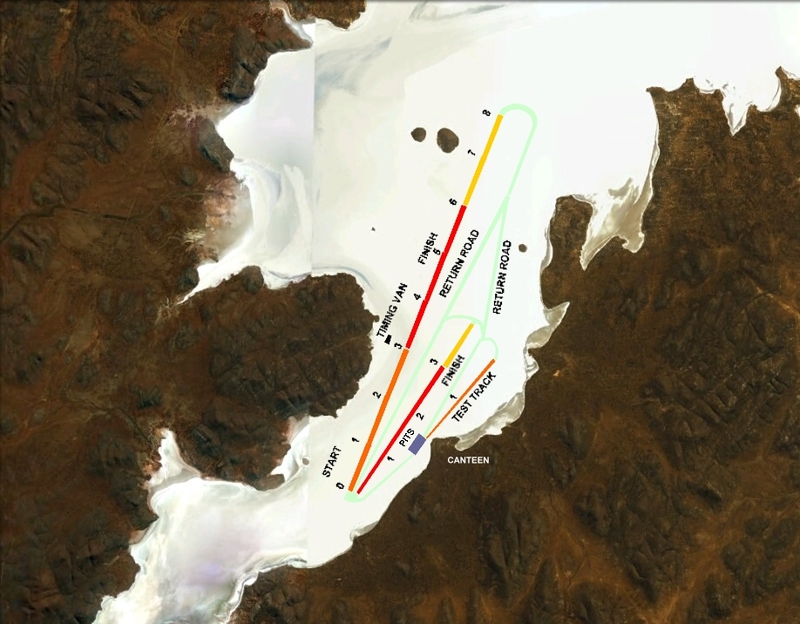 2015 will see a totally new layout with Track 2 being moved to the west of Track 1 and the whole layout moved to the east in search of better salt. Track 2 will also benefit from having identical timing equipment as is used on Track 1. So for the first time we have 2 accurately timed tracks. The 2010 layout intorduced a second track for the first time and the removal of the Test 'n Tune Track. 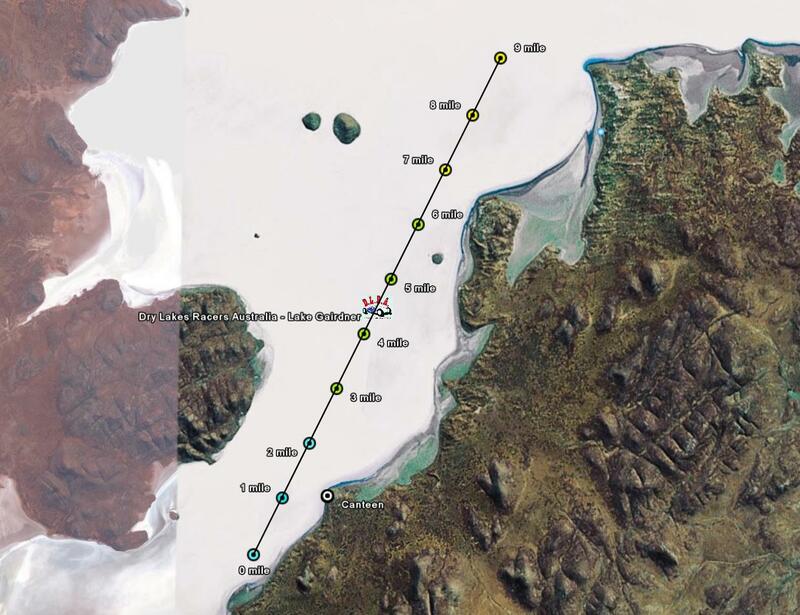 GPS units were used to determine a top speed on this 3 mile track. These speeds were not recognised for setting records and were only recorded to the first 2 decimals. It proved to be very popular for licensing runs but was usually closed by the Thursday as most competitors had moved to the main track to set recognised runs.